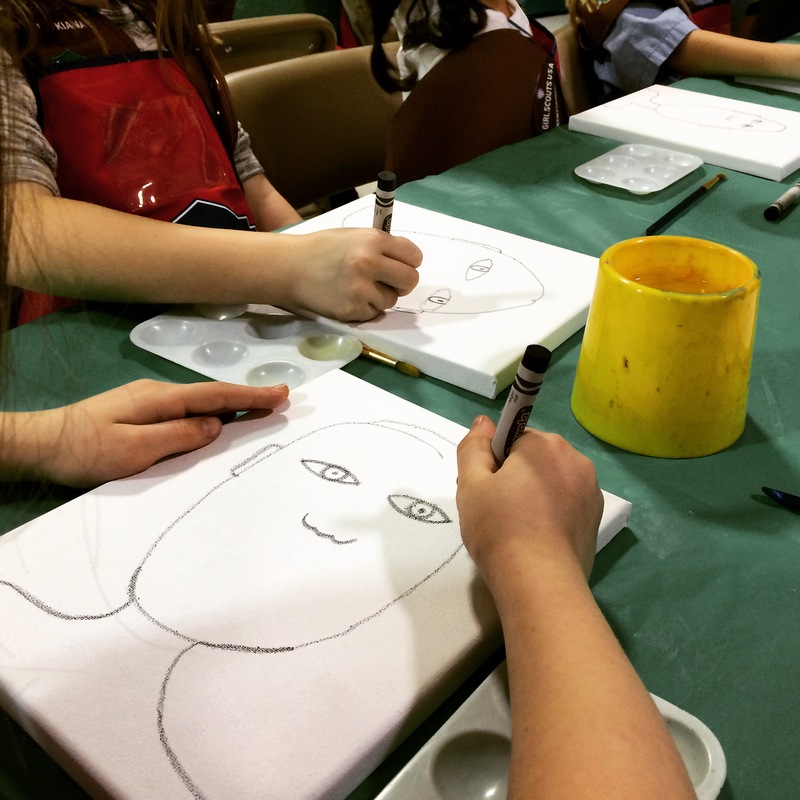 Brownies from Girl Scout Troop 628 work on their painting badge. Their self-portrait game is on point. An entry in last year’s Desserts First competition. 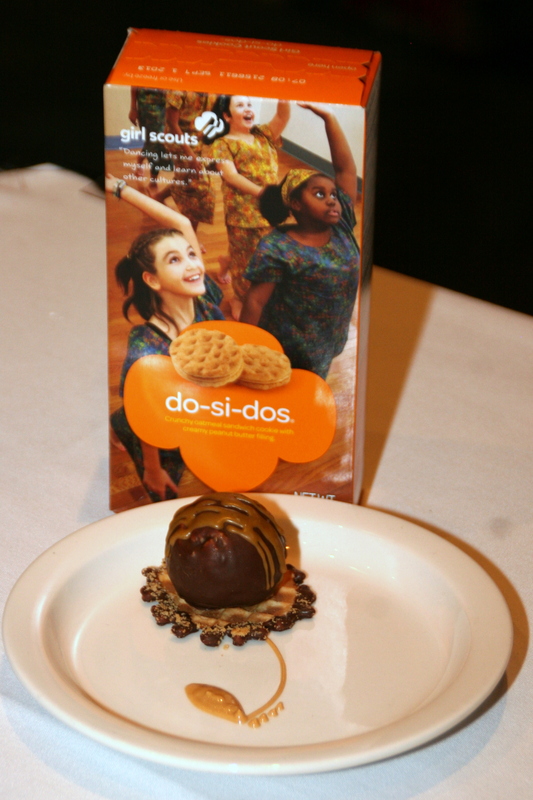 Girl Scouts of Kentuckiana’s ninth-annual Desserts First event is a culinary competition to raise money for the non-profit organization. The event will feature local chefs, bakers and bartenders slinging out dishes that include Girl Scout cookies as a key ingredient. Think the TV show Chopped, but with a Girl Scouts theme. 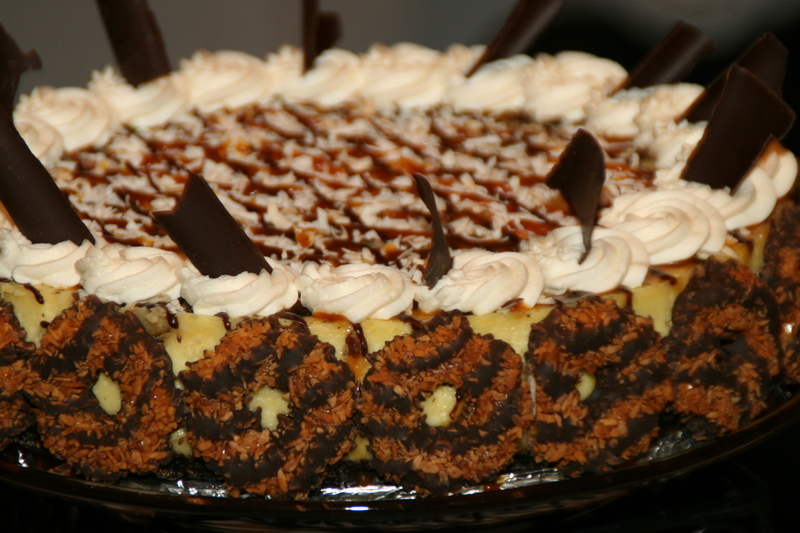 Desserts First takes place from 6 to 8 p.m. Feb. 25 at the Mellwood Arts and Entertainment Center. This year’s theme is “The Technology of Cooking,” so I’m expecting to see (and taste) some neat uses of tech in the kitchen. Tickets for the event are $55 apiece. HOWEVA, there’s currently a special going on now through Feb. 24 where you can buy two tickets for the price of one. That’s BOGO, people. A small price to pay for the empowerment of young girls. Samoas have never looked so good. And did I mention that there’s a killer group of judges that you might know from their blogs, Twitter and the rest of the interwebs? Me (yep, I’m calling myself killer because I’m leaning in), @CHRISTINEinLOU (a fellow Troop 628 co-leader), @BellaPortaro, @AllisonRMyers and @louisvillenoms are going to have a great time judging. Meet us there, won’t you?